The more immediately personal context of New Grub Street (1891) in Gissing’s own life is as important as its wider imaginative context. 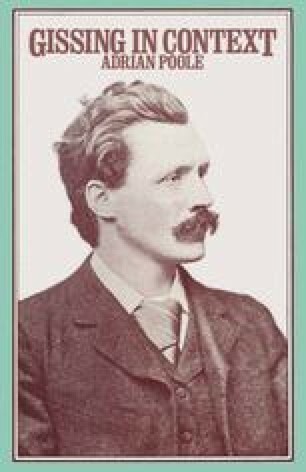 The death of his first wife in 1888, and the closely related writing of his last novel of working-class life (The Nether World) had set him free to take the Continental holiday he had long dreamed about. On 26 September 1888 he left London for Paris.